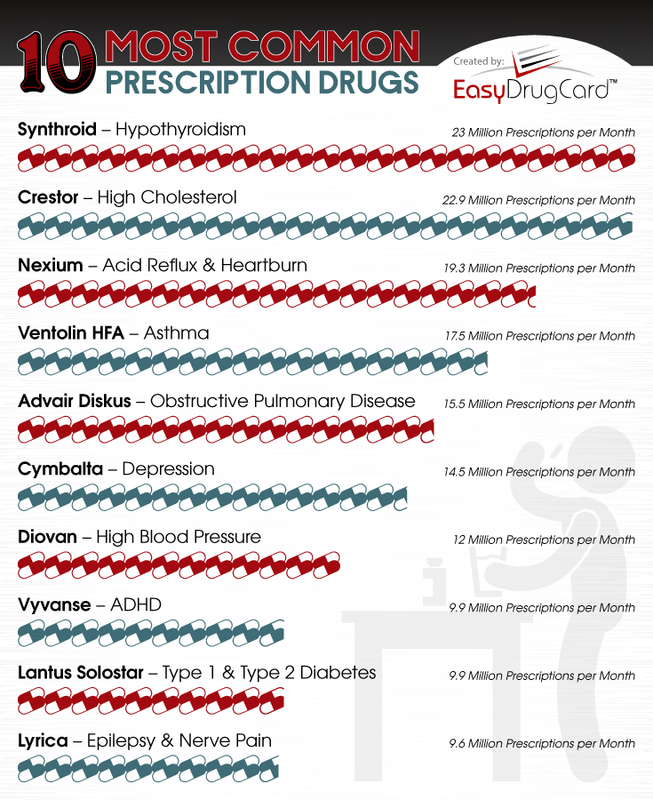 Here is a List of the Top 10 Common Prescription Drugs according to the IMS Health Report Data. Each Drug Name has a tab for further information about the medication. Seek out more specific information about these prescription drugs with your doctor to see if these medications are right for you based upon your specific medical history.